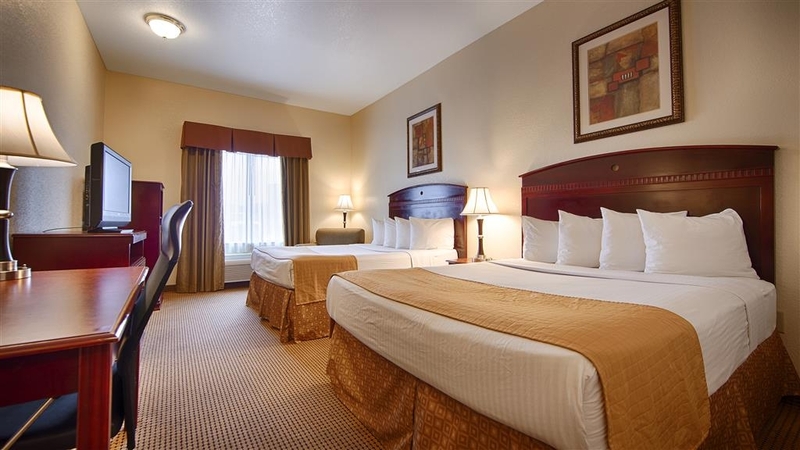 Il Best Western Palace Inn & Suites è situato nel centro di Big Spring. L'hotel è vicino alle principali attrazioni turistiche. Approfittate tutto l'anno del miglior prezzo garantito e di offerte esclusive. Perfetto per chi è in viaggio di affari o di piacere, il Best Western® Palace Inn & Suites è il posto adatto per trovare un po' di tranquillità e relax durante il viaggio. Non c'è luogo migliore in cui fare una sosta durante il viaggio di questo hotel di Big Spring, Texas. 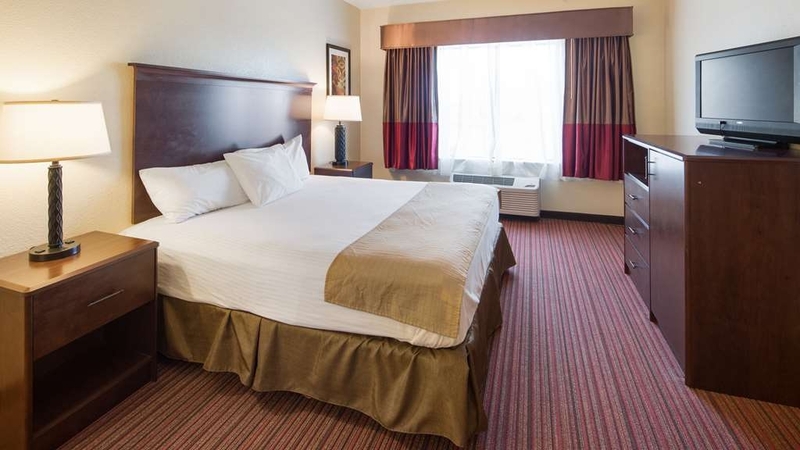 Tutte le comode e accoglienti camere di questo hotel Best Western di Big Spring, Texas, sono fornite di tutte le comodità di casa, inclusi microonde, frigorifero, accesso a Internet ad alta velocità gratuito, chiamate interurbane gratuite, ferro e asse da stiro, bollitore per tè e caffè e asciugacapelli. Alcune camere dispongono di servizi aggiuntivi, tra cui i letti king sizePer chi si reca in città per affari e desidera viaggiare e lavorare comodamente, questo hotel di Big Spring offre rapido accesso alle raffinerie e i giacimenti di petrolio della zona. A breve distanza dall'Interestate 20, gli spostamenti da e verso Big Spring, Texas, sono ancora più rapidi. Scopri le attrazioni locali più famose, come l'Hangar 25 Air Museum, il Big Spring State Park, il Comanche Trail Park e molto altro. Per chi viaggia per motivi medici, il VA Hospital è situato nelle vicinanze. 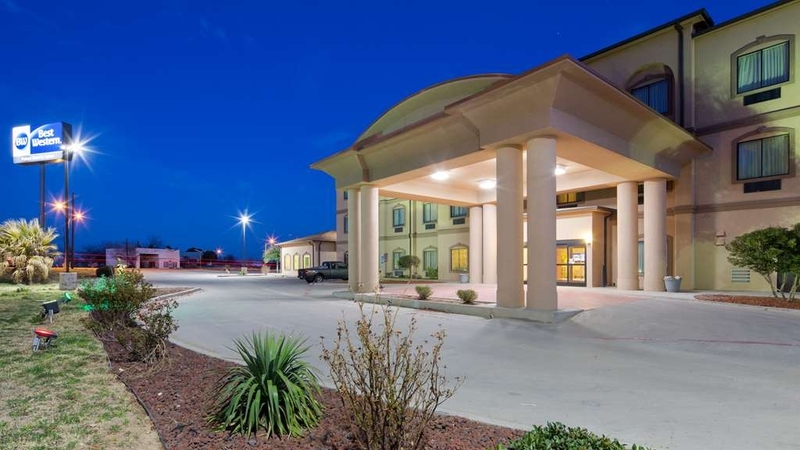 Il nostro hotel di Big Spring, Texas, è il posto perfetto per soggiornare in città durante i tornei di pallacanestro e softball. Il nostro staff cordiale e disponibile ti aspetta per darti un caldo benvenuto. Prenota subito e risparmia al Best Western Palace Inn & Suites! "On the way to New Mexico"
On our way from Texas Gulf Coast to New Mexico. This was a convenient stop on our way. Hotel is undergoing renovation but is looking great. Friendly staff, clean room, comfy bed. Grabbed some coffee, yogurt and fruit on our way out. We used BW points to pay for our room. BW has a great rewards program. I would stay here again. Thanks Best Western! We called while we were still on the road to make sure there were rooms available. The woman on the phone was very friendly and she was there when we checked in. We asked for food options in the local area and she gave us a few and even told us some of her favorite dishes at each place. My wife wanted soup and she had the place for it. The elevator was a little dirty from guest with muddy boots but the overall appearance of the hotel was clean and everything was in working order. I would stay here again if I am in the area. 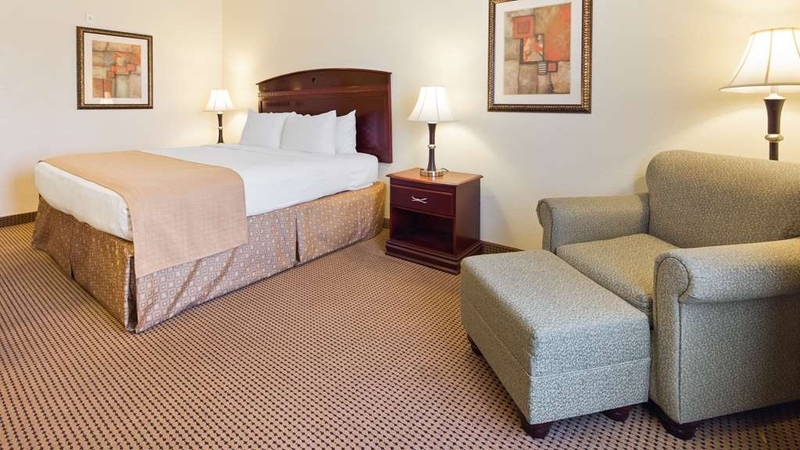 Located just off of the highway with a very easy off and on, This hotel provides one with a comfortable stay. The two queen bedded room was sufficient for four, The beds were quite comfortable, The pillows ( in the author's humble opinion ) are too soft, however, the travelling companions all found them to be quite satisfactory. The breakfast is filling abet the standard hotel fare. All in all a very worthwile visit. I wasn't sure what to expect in this little town, but the Best Western was a nice surprise. The lady at the front desk was so friendly and offered lots of great ideas for where to go for dinner. The room was nice, although one of the pillowcases was not clean. We just put that aside. Breakfast was typical, but our room was quiet, which we appreciated. We are sorry about the problems you encounter Ed at our property, and we do apologize that you were promised something through Expedia that was not offered at our property. But we do hope to see you again. "Best Western Big Spring, Texas"
The house keeping staff rushed us out at 8:00 in the morning. After we spoke, she agreed to come back after check out at 11:00 a.m. however, house keeping came in without knocking around 10. She was extremely rude. I would not recommend anyone stay here. We are truly sorry we failed to meet your expectations. The housekeeper assigned to your room an that particular day has been reprimanded. It is never ok to be rude to our guests and to make them feel rushed and unwelcome. Again we sincerely apologize for the inconvenience. 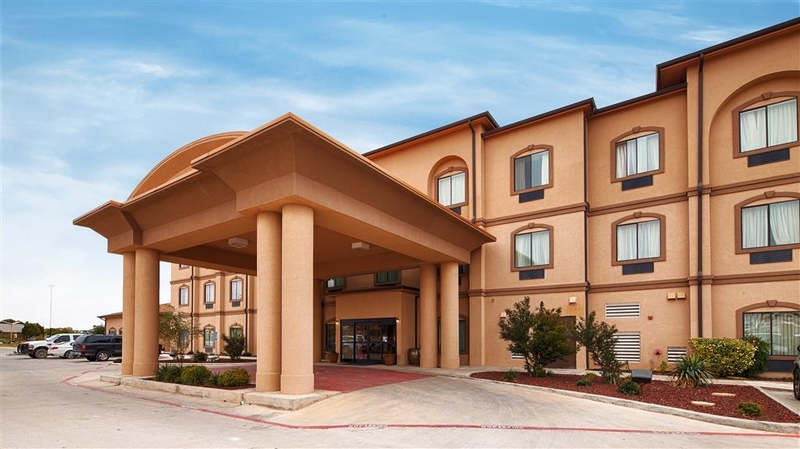 Our stay at the Palace Inn & Suites in Big Spring, Tx was very enjoyable. The room was clean and the bed comfortable. I liked the larger vanity space at the bath sink and that there were 2 plugs, one on each side. This is helpful with a curling iron when sharing a bathroom. The bath was a very good size and had a very lighted vanity and shower area. We had rented 2 rooms one single and one double. The single bed was extremely hard and sheets were very rough. The double bed room stunk very bad like smoke and I wouldn't have our newborn granddaughter in there so they gave us another room but just with one bed for 3 adults to sleep on and a newborn. Very very unhappy with this hotel. I stay at lots of hotels and this one is very bad. We are truly sorry we failed to meet your expectations. We cannot control what other guests do, although we try to, there are always people that choose to not follow the rules, therefore making it uncomfortable to other guests. We were full that and didn't have anymore double rooms or we would have gladly given you one. Again we apologize for the inconvenience. "Great place to stay after a very long day on the road." I gave a review of the bathroom problems. More annoying because of the exhaust mechanism and light switch being connected as one and the same. The shower was a minor problem as noted earlier in this survey. Thank you for staying with us, we are looking into the issues you had with the restroom. And we hope to see you again soon. "Best beds, pillow, staff, and breakfast"
We are very pleased to hear that you enjoyed your stay, and that the staff was able to help meet your needs. We will make sure Mike knows he was appreciated, and we look forward to seeing you again in the future. Excellent location there are plenty of restaurants within walking distance of the hotel. Customer service was excellent. There were several gas Stations within a quarter mile of the hotel. Breakfast was pretty good. Thank you for choosing to stay with us during your recent travels, we are very pleased to hear that you enjoyed your stay, and we look forward to seeing you again in the future. Thank you for choosing to stay with us during you recent travels. We are very pleased to hear that your stay was an enjoyable. I will make sure that our staff knows they were appreciated, and we look forward see you again. "My opinion of the hotel"
Pool was closed; AC in gym didn't work so I couldn't work out. Lighting in room was poor. Shower leaked 24/7 wasting gallons of water. Breakfast was adequate but nothing to praise about it. The desk staff on check in and check out were very nice and apologized but it didn't fix the issues. The maintenance man went above and beyond, probably overtime, but that too was too little too late. Thank you for choosing to stay with us. We are very greatful for your feedback, we have been working to make the property better, and we realize that there is still much to do. I will let the staff know that they were appreciated. We hope you will give us the chance to show you the improvements made in the future. Reported mold in the ice machine to front desk agent, she acted like I was bothering her. When I made the reservation the said the would have a rollaway bed available, the front desk agent didn't even know what a rollaway bed was, fitness room ac was broken, jacuzzi had been broken for a few months, the noise from the other rooms was insane, breakfast was sparce & quality of food was horrid, & the housekeeping staff were the ONLY positive at this place. Thank you for choosing to stay with us. We are truly sorry we failed to meet your expectations. I have looked into the reported mold issue and discovered that it is not mold but a rubber gasket that is coming apart, and we are getting it taken care of. I will find out why front desk was having an attitude, and I will get that taken care of as well. Again we are sorry for any inconvenience this has caused. 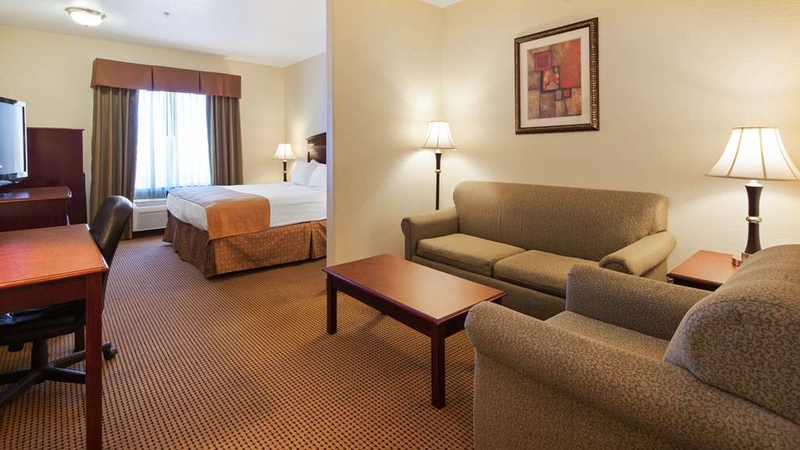 "I enjoyed my stay at the best western plus. The breakfast was awesome the fruit apples,oranges bananas great selection." "Enjoyed our stay very much!" My husband and I stayed at the Best Western Palace Inn 3 nights ago while on a roadtrip. After looking thru Tripadvisor reviews I almost did not call for a reservation due to the negative comments. 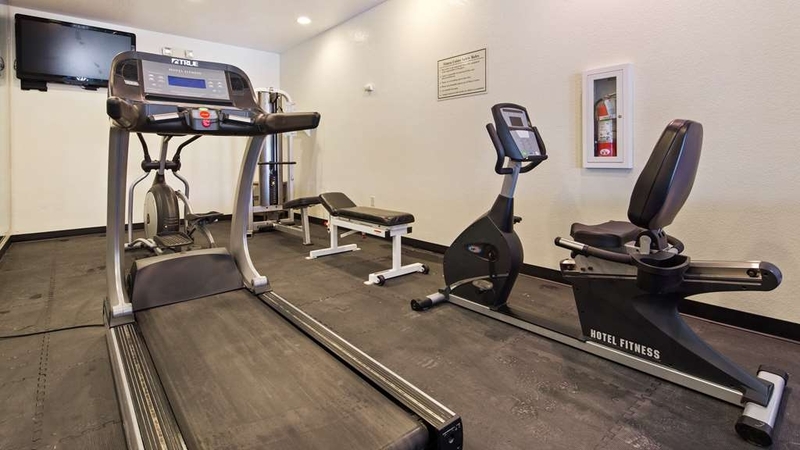 We were pleased at the cleanliness of the room and lobby, comfortable beds, and good service for a reasonable price. At checkout when asked about our stay, I commented that we enjoyed our stay very much, but almost did not make a reservation. The desk manager said that management had been changed recently due to the fact that the hotel was not meeting their expected standards and that they were working to make the necessary mprovements. I was glad to hear this because Best Western is a chain that we typically will book with because of their reputation for higher standards at a fair price. Thank you for choosing to stay with us during your recent travels. We have been making many improvements at the property in all areas, and we are very pleased to hear that your stay was an enjoyable one. We very much look forward to being of service to you again. 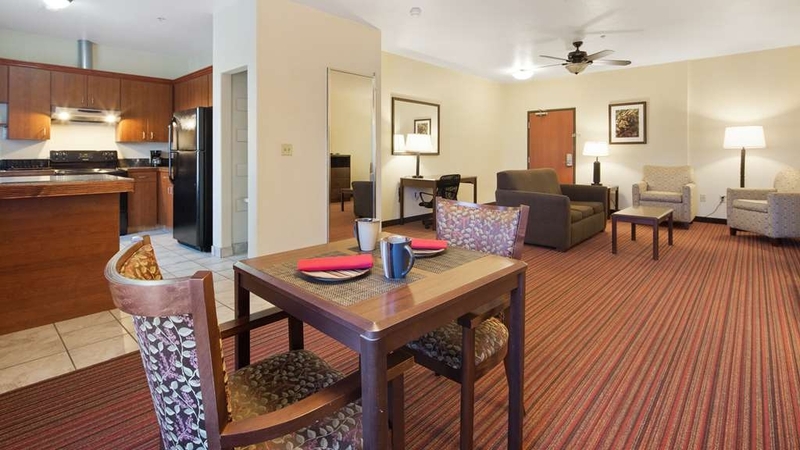 "Nice value and Stay in Big Spring!" 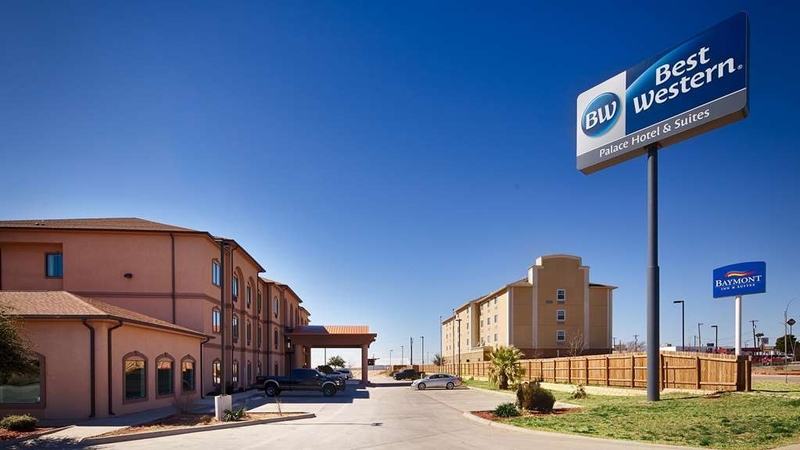 The Best Western in Big Spring is a nice place to stay in the area. The staff is very nice, helpful, and friendly. The room was nice and had a very comfortable bed. We enjoyed the breakfast that we had. Thank you for choosing to stay with us during your recent travels. 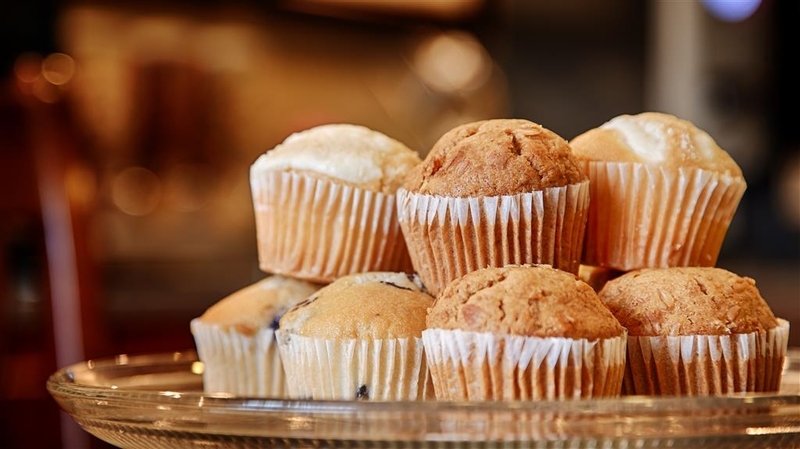 We are very pleased to hear that your stay was an enjoyable one, and that you enjoyed the breakfast. We look forward to being of service to you again in the future. "Nice Property In Need Of TLC"
On a return trip from Arizona we booked this room at the last minute. We didn't have great expectations based upon the reviews, but we needed a place to stay for the night. This is a nice Property that can't be more than a few years old. The lady working the lobby was very nice. The room was not large, but very adequate. There appears to be no maintenance. The AC didn't cool the room. There was a major drip in the shower faucet. The floor tile in the bathroom was badly cracked. He ice machine had been broken for awhile. All of this is inexcusable in such a new property. We should have stayed next door in a much cheaper room. This property is in desperate need of maintenance. The water pressure is very bad and the air conditioner did not function well at all. The ice maker on the 2nd floor did not work at all. The room was clean but it was clear that public areas were not being maintained either; dirty elevator carpet as well as the floor outside the elevator. Tammy who checked us in was great. Linda, Thank you for taking the time to give us some feedback on our property, all information is appreciated. We are in process of making many improvements to our property, and we truly hope you will give us the chance to show you these improvements in the future. We are very pleased to hear that Tammy was able to be of assistance to you, and we will make sure she knows she was appreciated. "Need new housekeepers and grounds keeper"
This would be a awesome place if they would clean it. First thing I saw in my room was a empty fruit cup. The pool and pool area was filthy. Even at pool opening time the trash and floors hadn't been cleaned from the night before. Trash in hallways. Nichole, thank you for choosing to stay with us during your recent travels. And thank you for taking the time to give us some feedback on our property. We are currently working to improve on many areas housekeeping being the biggest one. It does take time, to get it all sorted out, and I do apologize for any and all inconveniences you may have experienced. We do hope you will give us the opportunity to show you the improvements in the future. 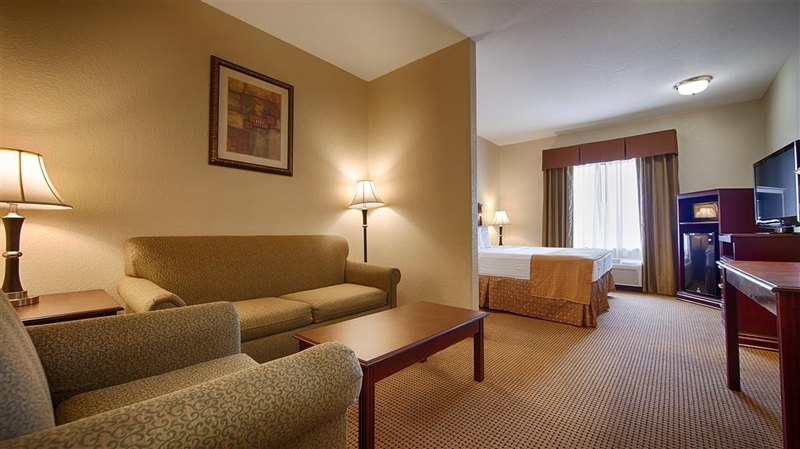 We usually chose Besy Western hotels because they have consistent quality. Well they must have missed this one. Our room was cheap motel quality at best, there was no shower curtain, theere was no soap by the sink and there was one partial roll of toilet paper and the other was empty. The blankets looked old and worn out. Cheap pillows. Fire alarm went off at 1:30am and all rooms evacuated. Flooded ground floor from sprinklers. Things happen but no offer for free night. Rooms were clean. Plenty of hot water. Good location and far enough from I20 to be quite. Larry B, We are truely sorry we failed to meet your expectations. We can not always control things that happen such as a pipe bursting unexpectedly. We do try accomodate every guest to the best of our abilities, when given the opportunity. Please feel free to call me anytime to discuss this further. I wasn't sure to make of the mixed reviewed on TA but I needed a room and had to make a reservation sight unseen since I was 400 miles away. The lobby was clean and the Front desk person was outstanding! 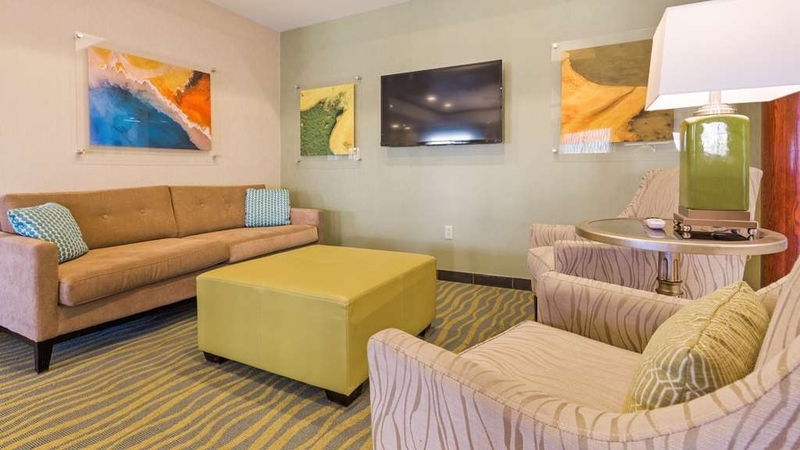 (Miranda) She took my initial reservation, saw to it that everything was just right and made the check in process painless. 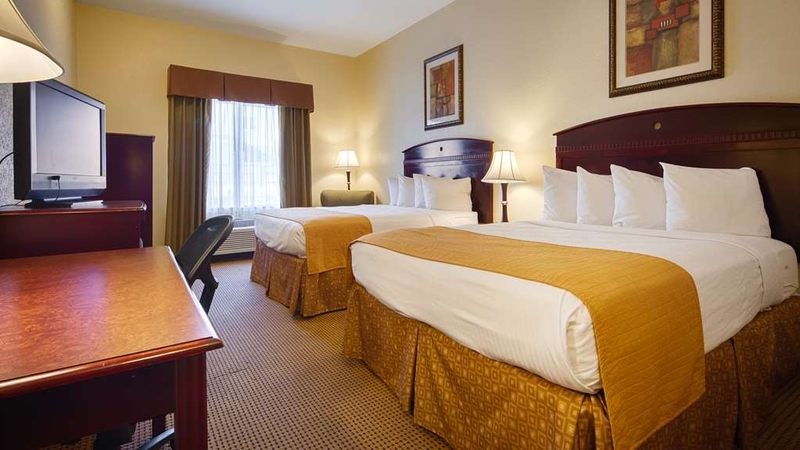 (not to be confused with other chains) The room was clean and the bed linens fresh and tidy. The bathroom was clean but a bit dated and had an issue with the shower head. Didn't detract from what I have come to expect from BW. Thank you for choosing to stay with us during your recent travels. We are very pleased to hear that you enjoyed your stay and that Miranda was able to be of service to you. We are currently working to make many improvements to the property in many areas and we hope you will give us the opportunity to be of service to you again in the future. "Dirty parking lot and smell of pine sol at entry at 8:00pm"
The clerk was mopping and in tacky attire. The entry was akin to an outdated school gym locker room. The breakfast bar was part of the lobby. The location is sort of fit in between other businesses, noisy, and it did not feel safe, clean or well-lit. Room was adequate, barely, but the linens were clean. I would and did change hotels. I want to lead this off with the fact that this is a very nice facility. 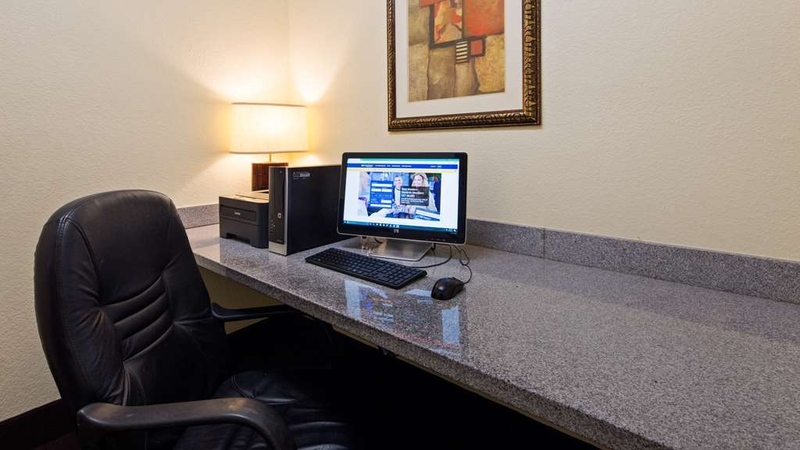 Our initial interaction from the booking while we were on the road in far northwest Texas, to the check-in was very pleasant. The room was adequate and the beds very comfortable. The main problems we encountered started the next morning. When ready to shower, we were met with inadequate water pressure and lack of hot water. Nothing like a cold shower to start the day. Then we went to breakfast where the area was dirty and unkept even though an attendant was right there (busy on her cell phone). The food supply was low to empty even though we were there a full hour before the ending time. A couple of requests to the attendant were met with scowls and huffs with no verbal response and reluctant action. We were met with the same attitude upon checking out, i.e. we were a burden to be there instead of a loyal customer. Consequently, we will not be staying here again. Room was clean and property was neat. Front desk staff was very accommodating. Breakfast wasn't anything special, but made for a quick departure. I'd stay here again when in area. Slight design flaw in shower for accessible room. No place to place soap or shampoo, shower drain wasn't set to allow for quick drain so water built up in stall. Been staying here for 3 years on and off. Some of the other places seem to be running down. This one is still good. Nice rooms quit and clean. Staff is friendly. The location is convenient to I20 or downtown There is now a couple of restaurants pretty close. "The front desk didn't give me the room." My experience was terrible. I booked this hotel thru priceline. Tamy, the front desk who attend, said there is NO reservations in my name, and not just enough, she said the hotel was full, and told me to go next door. It was late, after 10pm, and me and kids was very tired. I thought it was very strange, since priceline guarantee a room whatever we booked. Tamy even said "call priceline and they'll refund you, and we do not have any reservations nor rooms available, go next door or aonther hotel". I went to the hotel next door, but still, not convinced. I called priceline, and my reservation WAS THERE, and have plenty of rooms available! Short story long, it was 2 hours back-forth with the hotel and priceline to get my refund. I have no idea why TAMY did this... I hope is just incompetence. Our stay at the Best Western Palace Inn exceeded expectations. Shae at check in was friendly and thorough. We have two small kids, and she let us know that the juice and fruit in the breakfast area would be available all evening/night and even offered us bottled water to take to the room. There's also a water cooler in the lobby where we were able to fill up our cups before leaving the next day. The room itself was very comfortable and quiet. Nice size refrigerator and microwave in room. I didn't catch the name of the lady who served breakfast in the morning, but she was just wonderful. Other reviewers have mentioned breakfast selection was minimal, and while I have seen more offerings in other hotels, I found that there was more than enough to get my day started. I was very pleased with this hotel and would not hesitate to come back. I always have a good experience at BW hotels and this was no different. Stay here. The beds were nice. 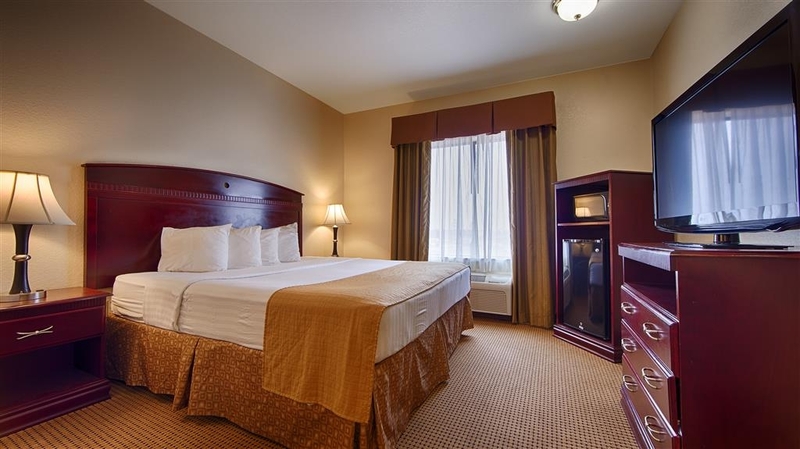 The rooms were very clean and the staff was very helpful. I would recommend staying here if you have the opportunity. When staying in the West Texas area, I'm never sure what I might get "sight unseen." Fortunately, I trusted TripAdvisor and booked my stay! The room was clean, safe, and comfortable. The breakfast was GREAT and the internet was super-fast! Nice new hotel, close to the hiway. 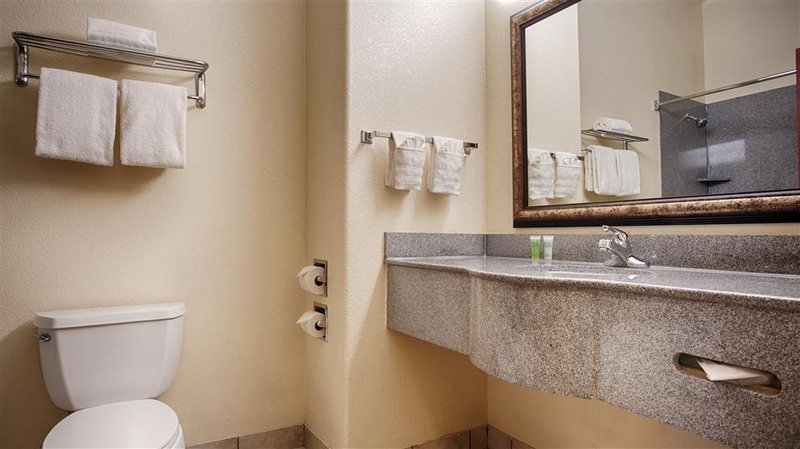 Rooms are clean with all the amenities and a nice large bath! The pool was closed during our visit. The area is quiet and close to dining and downtown. The staff is very pleasant and the breakfast was great! Thank Eva for that. She does a great job. 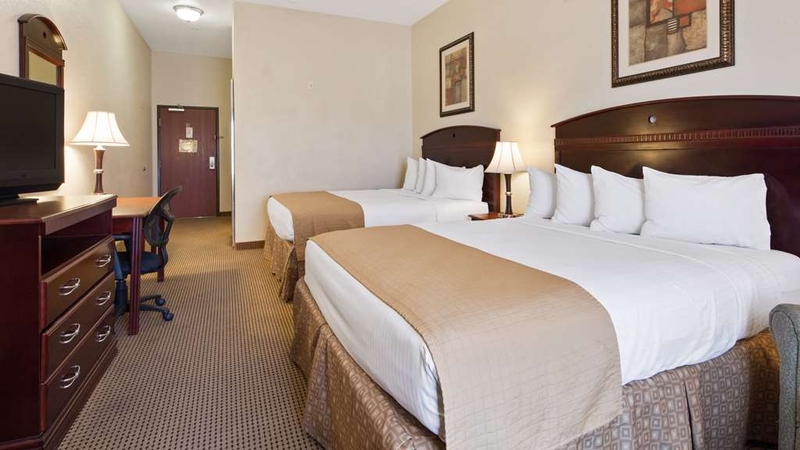 This hotel is very clean, everyone is very friendly and helpful, and is close to the interstate. Our family has suffered a loss of a father and brother 7 months apart. We booked several rooms at this hotel for out of town family. The staff was very generous in allowing a very late check out to accommodate us with the funeral schedule. We highly recommend this hotel. Front desk check in girl was very friendly and suggested a great little cafe for dinner. I would say she was the highlight of our visit though. The room was clean but the bathroom had several cracked and chipped floor tiles. The dryer didn't work and the towels were like paper towels. 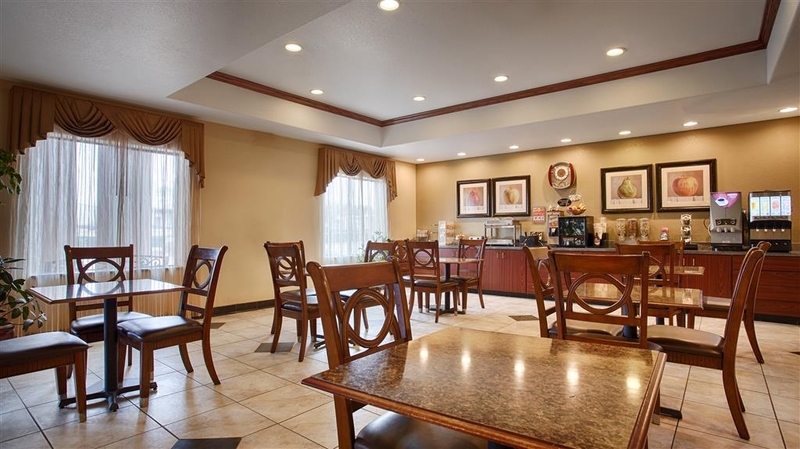 The complimentary breakfast was not the greatest and certainly not we are use to with past stays at other Best Western's. The breakfast plates were the size of desert plates and they were out of syrup for the waffles. There was 1 set of salt and pepper shakers that were constantly being shuffled around the tables by other guests. The carpets in the corridors are worn and needs to be replaced. The ice machine didn't work on the second floor. We won't go back here. "Nice rooms but mostly construction workers." Overnight stay on the way to San Antonio, TX. Mostly filled with construction workers. 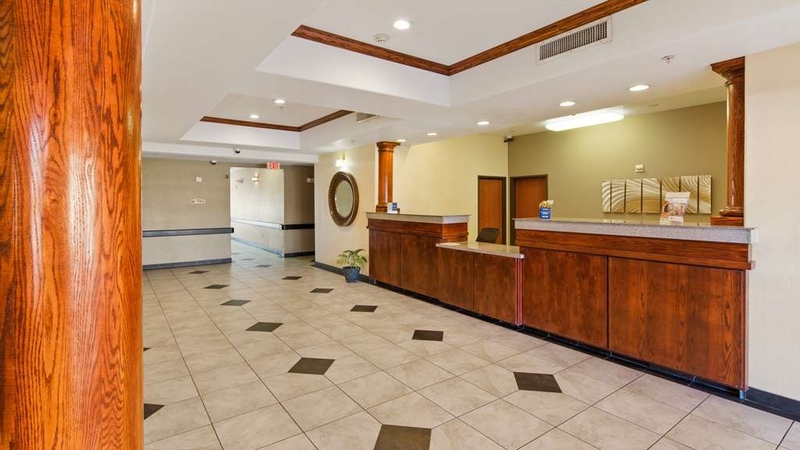 Very clean rooms but lobby, breakfast room, elevator and hallways dirty from muddy boots, etc. Requested a ground floor room but given 3rd floor. Hotel only had 1 luggage cart, said the other one had a flat tire. Still not enough carts for this size hotel. We are in our 70's and had to make several trips to our car to up to our room. Staff tried to help us; friendly and courteous. Would not stay there again. "Good standard hotel for business travel." Standard hotel amenities for a decent price in the oilfield. I stay for multiple weeks at a time when I travel and this hotel met my standards. Breakfast is above average when compared to other hotels in this price range. However, not the best breakfast I've experienced at a Best Western. Rooms are clean with a comfortable bed. TV is great with HD and movie channels. We were traveling for a family funeral. A family member booked and paid for our trip hotels.com. When we went to check in - the front desk employee - Ricky - said our reservation was through Expedia. Multiple calls to Hotels.com and their attempts to resolve with him were fruitless. He was beyond rude to me and my elderly parents. I have never encountered anything like him in my years of travel for business or pleasure. We arrived at the hotel at 5:30. We were supposed to be at the funeral home at 6:00 for visitation. Our intent was to check in and change clothes. I gave him my credit card for incidentals when I started to check us in. If I hadn't gotten a text alert from my credit card company that he was charging me for the rooms again - I would never have known what he was doing. That's when it became game on with Ricky. Even though he knew the rooms had already been paid for through a third party - he charged me again anyway. Very long story short - when I told him we were so angry we would not stay there - he argued some more about we were too late to cancel. He then hand wrote cancelled across my paperwork. I stopped back by the hotel before I left Big Spring and got a very helpful young lady that showed me he never cancelled our reservation and had charged us for a full three nights - even though we never stayed there. We never got past the lobby. She took her time and corrected the situation, for which I am very grateful. The hotel facility may be the best in the world - but I would never recommend it to anyone. You might run into Ricky. Despite knowing we were there for a funeral and visibly upset - he never once apologized for the mix up, expressed any regret, or even acknowledged we were humans. He was hostile, sarcastic, overtly rude, and would periodically just walk off and go to what I can only guess was an office behind the desk. I don't know how any hotel manager could have an employee like that and not notice about two minutes into observing him with guest that he had no business dealing with humans. On top of his horrible lack of human skills - he was a liar and I'm sure thought it was funny that he billed me for three days when I didn't even check in. I'm sure he laughed to himself thinking how long it would take me to get that mess corrected when I got home and saw my credit card bill. I understand Yvonne was the hotel manager and was transitioning to Juan. When I tried to escalate to them at check - in, Ricky advised me he was the only manager I could talk to. When I asked him who he would call if the hotel was on fire - his response was - He'd cross that bridge when he came to it. Basically he refused to let me escalate. I can't rate the actual physical hotel because after an hour of trying to check in, we went to another hotel very close by.....with awesome representation at their front desk and a very nice hotel. Worst.Experience.Ever. So many things were not working at this relatively new Best Western. First of all, check-in took a long time because of a computer problem. Too bad that they seem to rely entirely on computers and nothing can be done manually. Once we did check in, one of the key cards did not work because they they gave us cards for two different rooms ( we were only staying in one)....again this was because of the computer glitch. The refrigerator did not cool and the ice machine on our floor was not working. The area around the elevators and the ice and vending machines could have been cleaner. The treadmill in the fitness room did not work at all and there was not a good supply of towels in the fitness room. In the pool area, there was not a good supply of towels and the equipment room door was standing wide open, which could have been a hazard. Upon check-out, there was still confusion about which room we stayed in. To be fair, the staff was friendly and helpful and did the best they could under the circumstances. The room was clean and the beds were comfortable. Outstanding, excellent Hotel. Staff with outstanding well train personnel, that love what they are doing. From the ground, to the room, are Meticulous keep clean. The breakfast meal are outstanding. 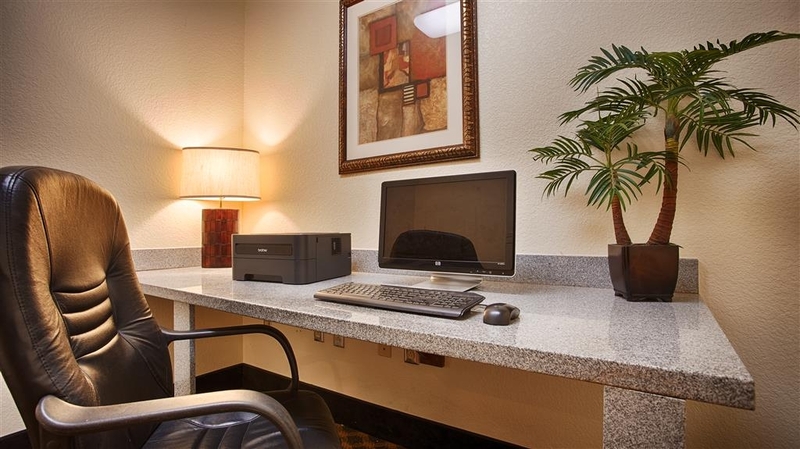 We really Love staying at Best Western Hotels. "Everything wrong from the start"
Hoped to relax and regroup after 7 days on the road from NC. These towns in area can't find help. Checked in guest washer out of order. Room looks worn with partial updates. Odd odor of sulfur water and vinegar upon entering. Told most eateries are closed on Sun. okay but no menu for Texas Cajun Cafe just off 20. Hubby drove there no web site. He brought a menu back but had to promise to return it. Good food but a dive. Heard loud street noise as if room's thin glass slider was cracked open. In lock position street noise in partial howling wind. Then I turn on the Direct TV. Notice across screen no service call front desk. Tried to call front desk the curley cord fell out of the headset the clip was broken had to hold it together to use. Cell phone service in rooms terrible. Thank God for the wifi at least we had Hulu. Watched season 1 Last Man On Earth. To pay $100 for these conditions is absurd. BW doesnt give you cancel options like others. Guess why? Next time we will check the rooms since latest ploy is fix lobby and ignore rooms. Told manager would be in 9am. Have my list ready. 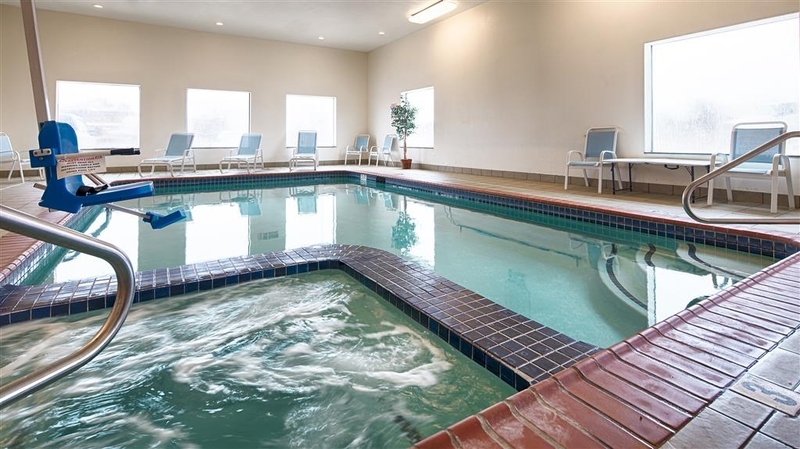 "Great value and great room"
We were very happy with Best Western Big Springs, Inside was very clean, modern, and comfortable. Breakfast was great and the staff was amazing. We will certainly stay with BW again when in Big Springs. "Sorely In Need of Renovation and Carpet was Filthy"
Where oh where do I begin?? Tammy was really sweet. When I got out of my car in the parking lot I was created by three or four empty bear cans in the parking lot. Those same cans were still present when we left in the morning. The cans were a portent of things to come. We walked into the hotel at 1920 to find a reception wrapping up. There was still some cans of beer left in a tub and men sitting around drinking Cokes and finishing chicken. I asked about the cookies I was told they had and found out that none were made today. I got the key to our room and asked for two but was told they only provided one key per room as they were running low. Apparently their clientele are bad about turning in keys. Anyway, I pouted about the overall situation of not having cookies or an offer of a Coke and only getting one key. In response Tammy offered to make us some cookies. She way absolutely a dear and delivered them to our room when they were ready. We always fill our ice packs immediately upon checking into hotels. Ice was only on the first floor as there was no machine on the third (our floor) and the second floor machine was out of order. We were in room 308 and it was in sad shape. The floor had not been vacuumed after the previous guest departed and there was even a nice little pile of grated cheese under the coffee table in the sitting area of the room. I pointed this out to Tammy when she delivered the cookies and she arranged for us to receive a 10% discount of the inconvenience as she said there was nobody available to vacuum for us. The bathroom was also not as clean or welcoming as it could be. The tile floor had sticky spots and there was globs of gunky silicone around the tub - perhaps replacement silicone had been applied without use of a caulk gun?? At one time there had been two soap dishes mounted on the wall of the tub. Now there was only one soap dish, as the second was missing, and all that was left was the mounting adhesive that nobody had taken the time to remove. The sofa in the room has been beaten down by years of use. Funny thing was that one of the cushions was in decent shape. The flattened one had the best angle for TV viewing. It wouldn't take 10 seconds for the hotel staff to rotate those cushions every few months to maintain consistent wear. At a minimum they should swap the two cushions now. There were no outlets near the easy chair or sofa. Back to the carpet - it should have been replaced a year ago. Had it been vacuumed it would have still been unpleasant. It was flattened down, stained and obviously full of embedded dirt; it obviously hadn't been shampooed in ages. My guess is that it might take a day of two drying tie if the carpet was shampooed and doing so would mean the room could not be rented during that time. My guess is the owners decided that it would be better to make money renting the room than it would be to take the time to shampoo the carpet. Other room issues: The room had blackout curtains but they had large holes that led light in. The desk chair seat was some type of pleather than had deteriorated to the point where there were several 4” long cracks. The bed was soft and the sheets were very pilled. I did not sleep well. I went to inspect the mattress in the morning to see just how old it was but found this to be impossible as it was encased in a large bag that could not be unzipped. A lot of ills can be forgiven in a hotel room if the bed is comfortable - unfortunately this bed did nothing to mitigate the situation. Breakfast was “full” and they had scrambled eggs and bacon that tasted pretty good. However, very little of each was put out at a time (perhaps to avoid waste) and other items were left to completely run out. There was no yogurt and no hard boiled eggs - there was a refrigerator but it was completely empty. My only guess was that it was broken and that was the reason why yogurt and hard boiled eggs weren't available. I don't have any other explanation for why a completely empty refrigerator would be taking up space on the breakfast counter. The breakfast attendant did not attend to spilled items on the counter and the overall presentation of them items was less than appetizing because of this. I moved the toaster to access the controls more readily and my hand encountered something very sticky on the side - perhaps syrup??? I went to the lobby ladies room to clean my hands only to find that the soap dispenser was empty. This is hands down the worst Best Western I've stayed in since one way back in 1998 in St Croix. It harkens back to what the brand was before they Best Western began weeding out the inferior properties several years back. Perhaps this hotel's main clientele, Permian Basin oil field workers, were accepting of poor cleanliness and quality during the boom times when lodgings were difficult to find. Unfortunately, their willingness to accept such should not preclude the hotel from taking a measure of pride in the product they offer. There is really no excuse for the poor condition of the hotel and the rooms. One other good thing I can mention was that there was plenty of nice hot water and it warmed up quickly. The room was clean and the bed was comfortable but that was about it. There were a couple of tears in the carpet and the air conditioner rattled so much we finally turned it off. They started serving breakfast at 6am and when we arrived at 6:45 choices were slim. There was a lady working there but she didn't keep the bins full. For the price we paid we expected more. 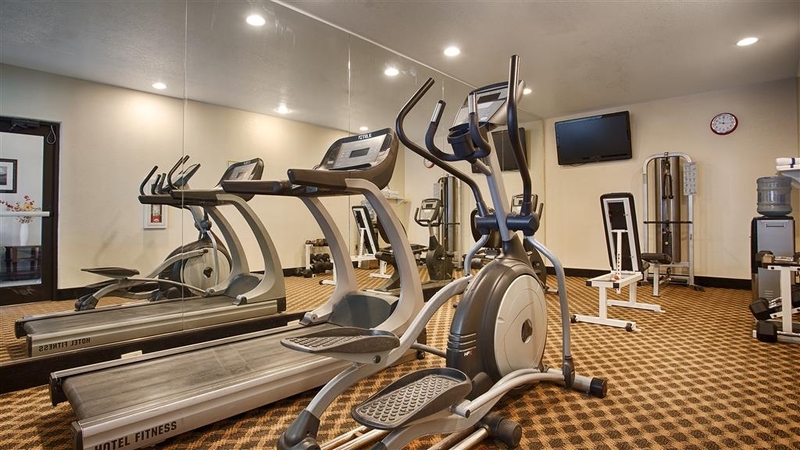 "Comfortable, Convenient, but a little pricey"
This is a FULL SERVICE motel with great suites, pool, hot tub, fitness center, and outstanding breakfast in the morning, beer and chicken wings in the evening. ALL very nice but a little more expensive than competitors. Our room was lovely. They have a social between 5:00pm and 6:00pm, with drinks, food and freshly made cookies. When they baked the cookies we could smell them from our room. Which was on the first floor. They gave us a room that we had requested when we booked our room and were very accommodating. Breakfast was the usual fare, toast, bagels, waffles etc. And the coffee was outstanding. The only small issue is that the waffle batter was awful. We've had better at other Best Westerns. And that's the only thing we found wrong. But other than that, the staff was great!! Very polite!! After driving 75 mph in torrential rain, I came across the trusted Best Western sign. I pulled in and was able to get a room. My room was impeccably clean and had every amenity I needed. The staff are excellent!! They even asked, "what could we do better?" Nothing!! Our stay here was very pleasant and stress free. We really enjoyed ourselves. Amenities were wonderful. Breakfast was delicious and filing. The internet was slow however. The bed was comfortable. The bathroom was adequate. The room was inviting. The staff was excellent at this hotel. We had 2 rooms reserved. One smoking one non. The non smoking room had low water pressure, but the other room was fine. I thought the price was a little high. The room was clean, comfortable and quiet. Everything worked including the heater! Really appreciated how friendly the staff was. . . There was a nice reception for guests in the evening. However, the breakfast options were really poor around 8am. It looked like it had been pillaged by hungry oil field workers (very understandable), but food should be replenished for guests wanting to eat at 8am. Overnight stay. Passing through to AZ for business. Felt safe and secure. Water Pressure good . Room was comfortable. Breakfest was limited but good.Would stay again on the way back to Fl.Parking was limited . Motel was full. Since we were only staying a night while on the road, we were looking for value more than luxury. The Best Western Palace was a little cheaper than the surrounding chains and a little bit off I-20 so we thought it would be quieter. The clerk was extremely accommodating and showed us three different rooms. We picked one on the first floor back for quiet, and it was. We took our three year-old to the pool and it was very nice -- the first comfortable temperature pool we'd encountered the entire trip. Very nice. The room was adequate and quiet for an overnight stay and clean. Yay! Breakfast was surprisingly good. We were expecting a Continental style brekkie and instead had a big choice: eggs, bacon, sausage, waffles, carne y papas, and the usual fruits and cereals. it was quite good. I would stay here again. Fair prices and good rooms. Pool was a little cold and the hot tub was broke but other than that it was a good stay! Employees were nice.. Breakfast was good for a free fast meal. Room was clean and in decent shape..
We have stayed at this hotel before and it was great. This time was no different. The staff at the front desk were cheerful and helpful. The room was spacious with very comfortable beds. Everything was clean and nice. Always appreciate the Refrigerator and Microwave. The breakfast is terrific. Restaurants are close by. Although this was a stopover I would not hesitate to stay for an expended time if I had business in the surrounding area. The Hotel was very nice and staff was very friendly and help full. The Hotel was clean and the breakfast was good. I feel the Hotel price was a little over price for the area. Everything is over price these days. The staff made it worth is and was in a good location for what I need. I will recommend the hotel to my friends. I used to love staying at this hotel, but lately the quality of the facility has dropped tremedously. Any more and i may be forced to look elsewhere. The staff is still fantastic and try really hard with what little they are given to do it with.